This member of the Asphodelaceae was given this name by Alwin Berger in 1908. It is found in South Africa, southern Angola, Botswana, Lesotho, Namibia and Zimbabwe, growing in grit with some water and lots of sun. 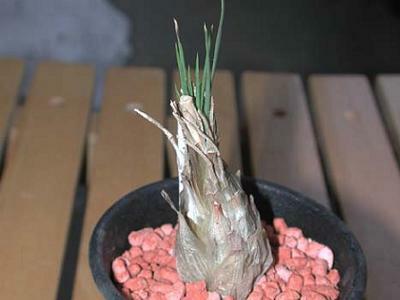 The caudex can grow up to ten centimetres or more. The plant up to 40 centimetres height. It has yellowish white flowers.